What does it mean to say yes to the power of being an artist-in-community? It can be very risky. It means saying yes to the unknown, to relationships that form us in surprising and uncontrollable ways. . . .
Arts retreats aren't about decorating sanctuaries. They aren't about honing your art skills (though that could happen). At the end of the day, they aren't really about art at all. They're about what happens to us when we share creative space, when we gather around tables proclaiming a place for all, when we dream up and pursue a vision together. They're about encountering self-doubt, fear, conflict, and the messiness of the collaborative process. 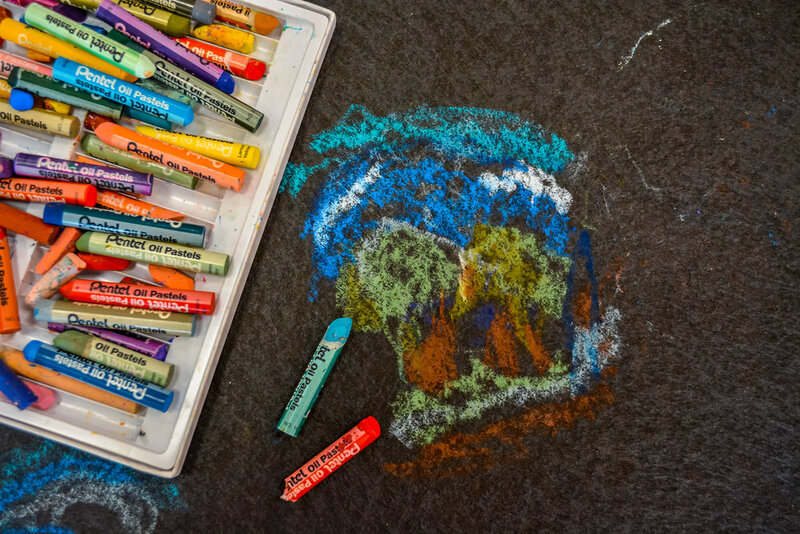 They're about practicing what it truly means to be the Church—a community embodying welcome and embracing the gifts of all—with pastels and paintbrushes as our guides. Because it pulls us back to our beginnings. Because it roots us in a sacred expression shared by the earliest of Jesus' followers and faith communities throughout time and space. Because it forces us beyond our comfort zones, begging us to imagine, see, and create a world anew. Art is as disorienting as it is calming, but through engaging it, we are always transformed. 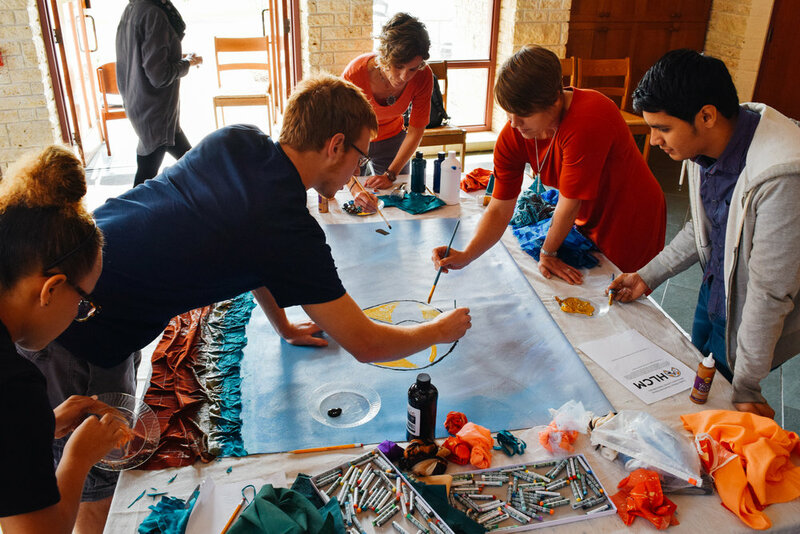 Arts retreats are opportunities for your community to journey together in a new way. 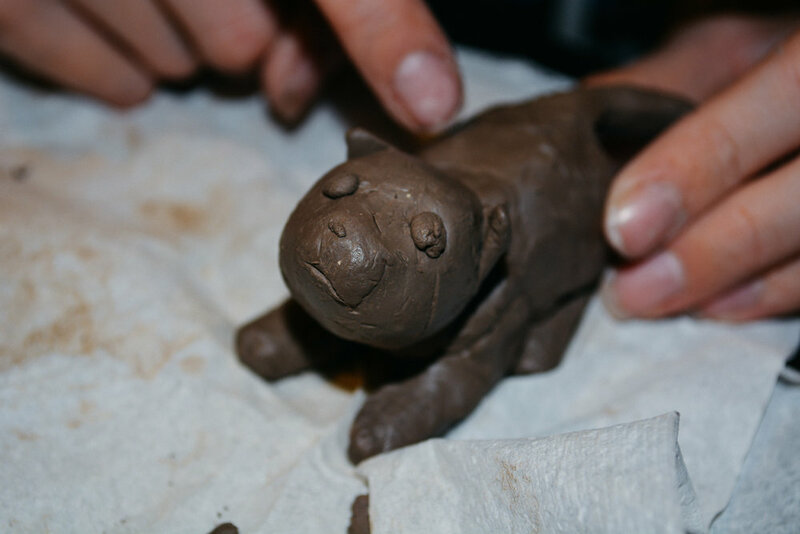 Over the course of 2-3 days, Lisle guides groups of all ages, sizes, skill levels, and abilities through a collaborative creative process, offering presentations and resources along the way. Shaping the retreats around a specific text or theological theme, Lisle empowers all members to be active theologians, visionaries, and creators. 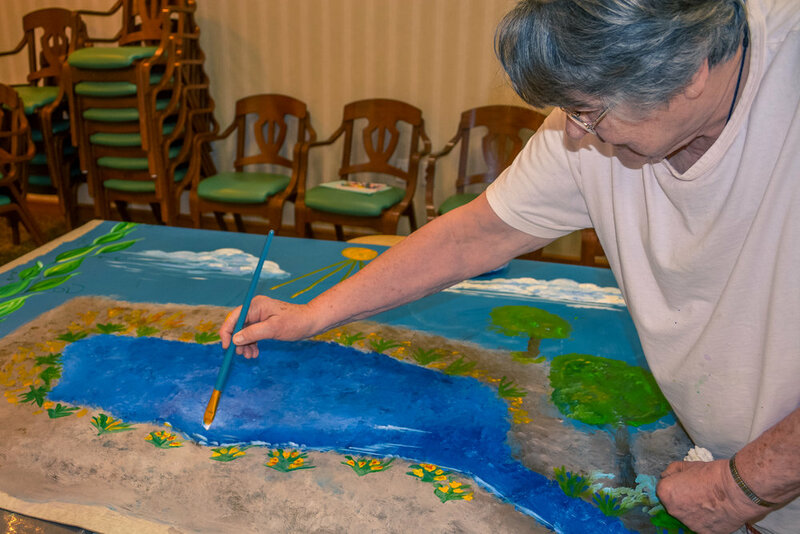 By the end of the retreat, you will have designed and completed large-scale art together for your worship space, and it will likely be filled with more beauty and meaning than you could have ever imagined. 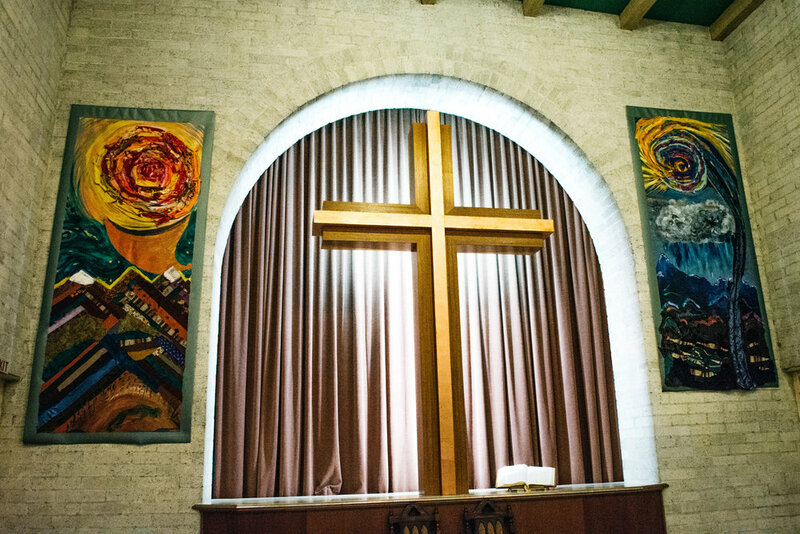 "Our congregation was blessed to have Lisle live paint during worship and facilitate a banner workshop in fall 2015. Lisle's creative spirit encouraged and empowered our members to create banners of which they are proud and were honestly surprised they could make. From people who feel they have no creative talents, Lisle brought forth creative energies. Her presence and artistic offering in worship elevated our worship experience by inviting parishioners to engage with worship in a new way and see the service come to life. Lisle's spiritual and artistic gifts compliment one another and invite each person around her to join in creative worship." Seeking, seeing, resting, exploring, listening. These are common hopes for retreats. We retreat because we're weary, because we're curious, because we're hungry for something more. Sometimes we have to be out of our context to discern how to live more fully in our context. In addition to arts retreats, Lisle leads retreats of all kinds for congregations, youth, and special groups. 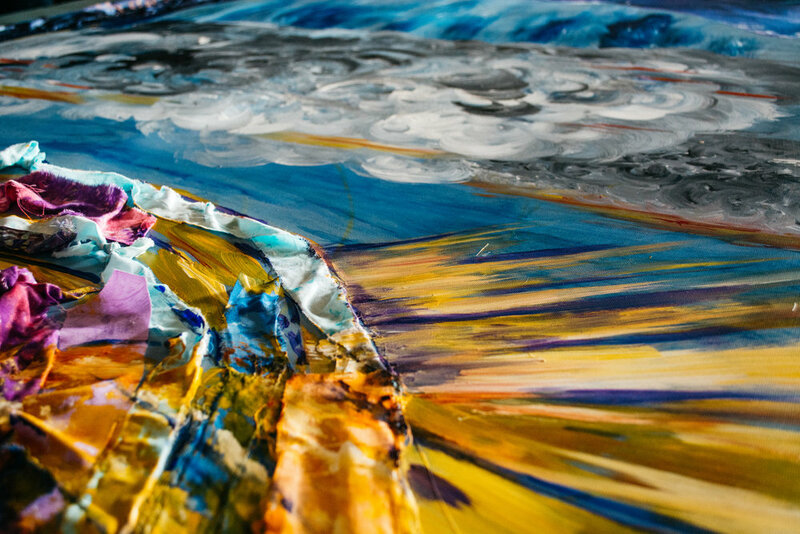 Using her gifts as both artist and pastor, Lisle shapes retreats around the needs and interests of your community, incorporating multimedia presentations, hands-on art elements, creative collaborative exercises, small group work, and worship. Since general retreats are a large part of Lisle's ministry, she takes special care to prepare the content and program of the retreat to your theme and interests. 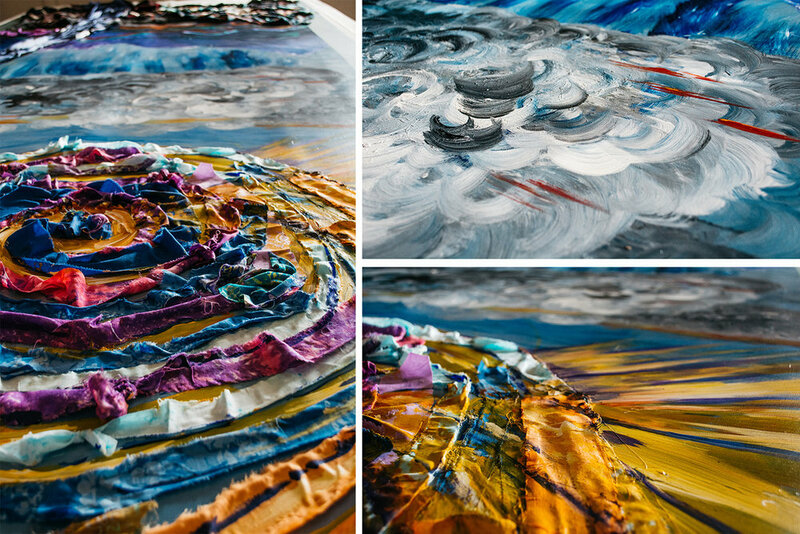 If you're interested in creating art together as part of your retreat (see arts retreats above), Lisle can provide materials and resources to guide all participants or a small group through a collaborative creative process connected to the retreat theme. —Rev. Jeff Gibelius, Lead Pastor, Second Presbyterian Church, Carlisle, PA.
Reach out below to inquire about rates, availability, and possibilities.